Successful Real Estate Investing is written specifically for novice investors who want to get started with confidence. It highlights 75 of the most common mistakes investors make and offers specific, real-life strategies for avoiding them. Each mini-chapter covers one mistake and offers pearls of wisdom based both on Robert Shemin's long experience as an investor and on case studies of investors he has met or assisted along the way. 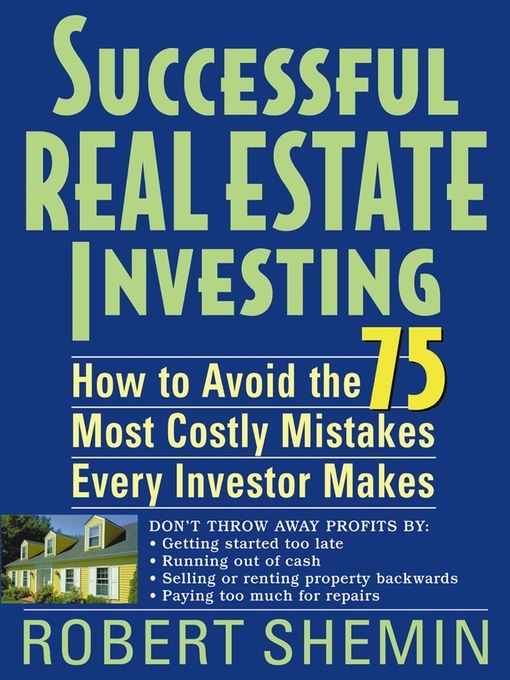 For investors worried about making a particular mistake in any step of the investment process, this is the only real estate guide that offers quick, expert guidance on avoiding everything that could-but won't!-go wrong. But Successful Real Estate Investing is more than just a list of troubles to avoid, it also teaches the most important keys to real estate success: keep it simple, believe you can do it (because you can! ), inform yourself so you know what you're doing, and stick with it! With common sense and the uncommon guidance you'll find here, there's nothing standing in your way!